Take, for instance, Pam and Jesse James of Newberg. They bought a barbecue joint in the small Oregon coastal town of Lincoln City and received rave reviews from customers about their special recipe sauces. The restaurant has since been sold, but the sauces live on as the “James Gang BBQ Company, In addition to sauces, the company makes a chili mix, specialty spices, and even a barbecue cookbook! 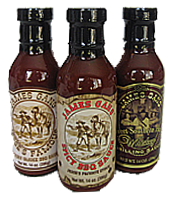 James Gang produces seven different varieties of sauces, so there’s sure to be one or more that suit your palate. Their original version is called James Gang Hickory Smoke BBQ Sauce, and it’s been an award winner at many prestigious barbecue competitions, including the American Royal International BBQ Sauce Competition. 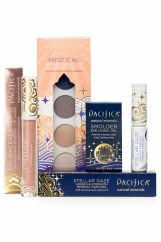 Take a look at their website and click on “Products” – you’ll see all they’ve got to offer, including Variety Packs, which make great gifts. It goes to show … great barbecue is where you find it! 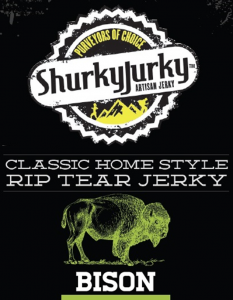 Shurky Jurky: This Portland based company is far from just another business producing jerky. They’re actually a wellness focused snack company whose first product just happens to be jerky responsibly produced from 100% grass fed, pastured, free range stock. The result is guilt free protein on the go! 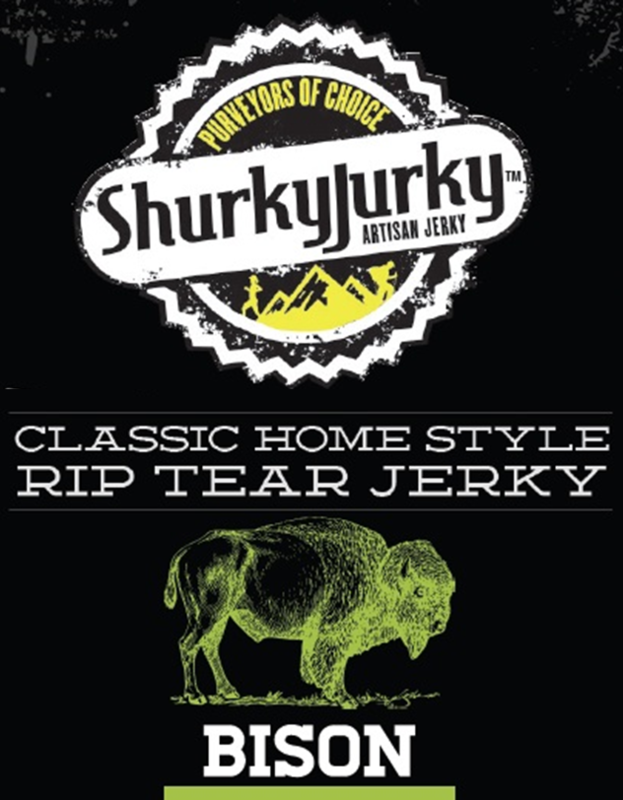 Stay tuned to Shurky Jurky as they introduce more products in the near future (a marinade is on the way). Made in Oregon! One of the products we always seek out is locally made mustard, and we found a good one in Oregon. 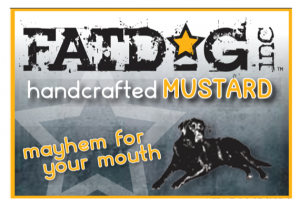 It’s Fat Dog Mustard, made by a small family owned business who also make a companion product, Fat Cat Pretzels. 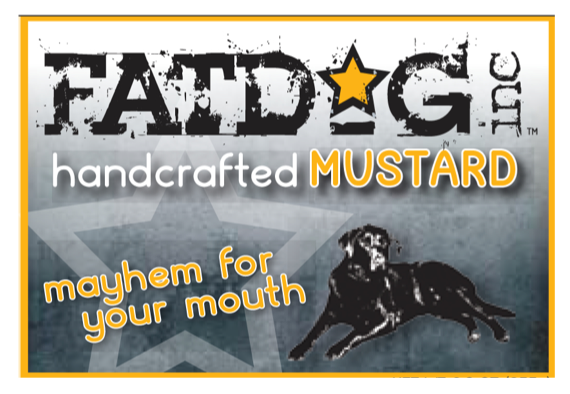 We were assured no dogs or cats were harmed in the manufacturing process, but in all seriousness the mustard is outstanding – it’s starts off with a pleasing sweetness and finished with a tangy bite. Perfect for sandwiches, dips, deli subs, or … pretzels! Taste buds always appreciate great tasting mustard! Otto’s Sausage Kitchen: A Portland institution, Otto’s has been handcrafting specialty sausages, smoked meats, and deli products since the early 1920’s. They’re the type of family owned and operated business every city needs – Portlanders flock here and until you try some of Otto’s sausages, you haven’t been to Portland! Not long ago, Otto’s added e-commerce capability to their website, which you’ll find at OttosSausage.com. 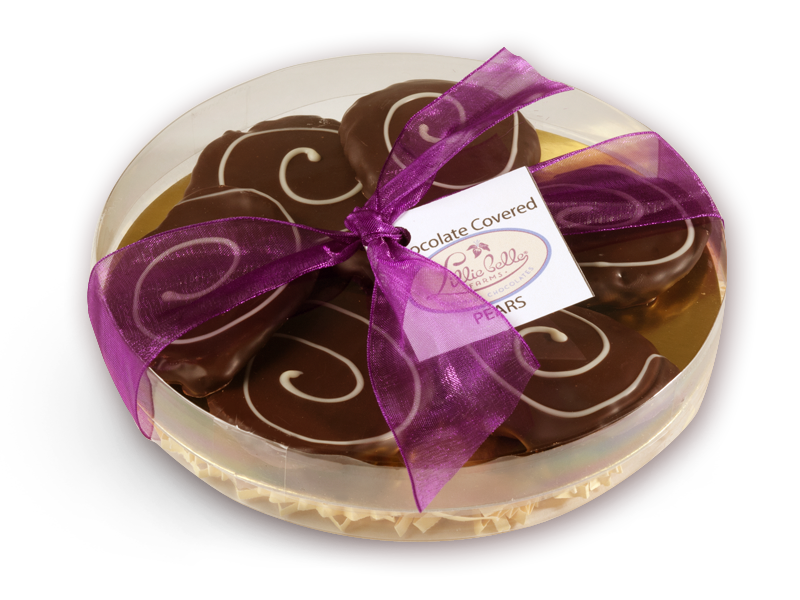 You can order many of their fantastic specialties right there and Otto’s will ship to your doorstep. If you’re looking for a Portland themed gift, you’ve just found one! You won’t go wrong ordering a gift from Otto’s Sausage Kitchen! A Taste of Oregon: Here at State Gifts USA, we’re in the process of compiling a state themed cookbook for each of the 50 states. 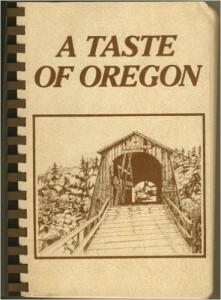 Recently, we were made aware of a good one for The Beaver State titled “A Taste of Oregon”. This book has sold over 300,000 copies and is the definitive Oregon cookbook. It contains 600 easy to follow gourmet recipes covering many of the state’s legendary dishes. Also included are storied and anecdotes about the state and its cuisine. Based in the Rogue River Valley since the 1930’s, Rogue Creamery makes some of the finest cheese you’ll find anywhere. 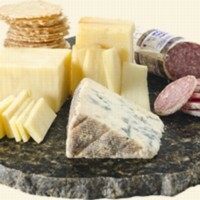 Blue, Cheddar, and their highly acclaimed Touvelle head the list of their specialties. If you haven’t heard of or tried Touvelle, it’s an American cheese featuring a sweet creamy flavor, hints of milk chocolate, roasted nuts, and vanilla. You’ll wonder why all cheese doesn’t taste this good! Rogue’s online cheese store is well known for their many gift packages and specialty combinations perfect for anyone on your gift list, from loved ones to corporate clients. We particularly like the “Rogue Blue Sampler” and “Oregon Tradition” packages, and they also offer a Monthly Cheese Club in 3, 6, or 9 month increments. You or your recipient will get the best the Creamery has to offer, including limited edition and special recipe cheese reserved specifically for the Club. Click through to their site to discover all your options. A wonderful gift idea from Oregon! Oregon Hill Farms: Since 1987, this company has been producing gourmet fruit preserves, jams, syrups, and specialty baking products like scone and pancake mixes. Their mission has always rested upon the use of Oregon’s finest and sweetest fruit – grown in the rich fertile soil of The Beaver State’s Willamette Valley. 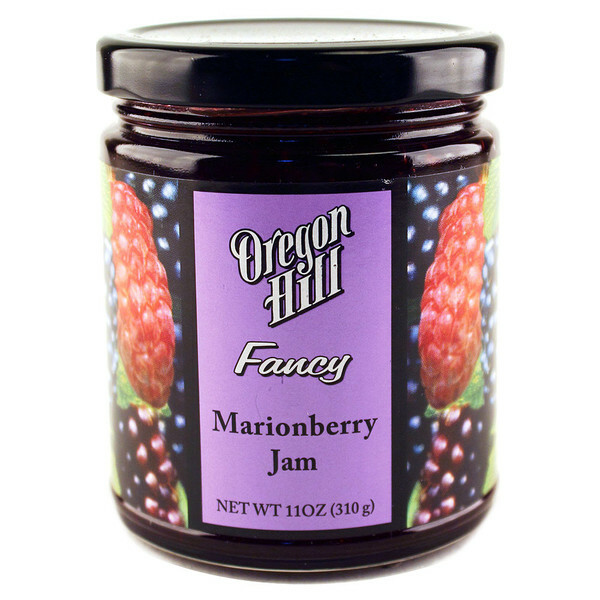 Oregon Hill Farms makes one of our all time favorite jams, which we occasionally find in specialty markets in the Midwest – it’s their fruity Marionberry Jam, made from these special berries which grow beautifully in the Pacific Northwest. Kind of like a cross between a raspberry and blackberry, marionberry jam is great on any baked goods and also makes a fantastic PB & J sandwich! 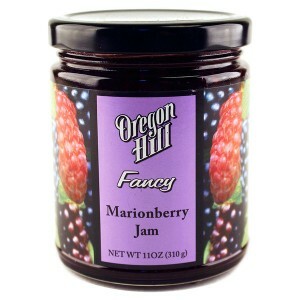 The company also offers other specialty jams like Tripleberry, Apple – Cranberry, and a combination Blueberry – Orange. 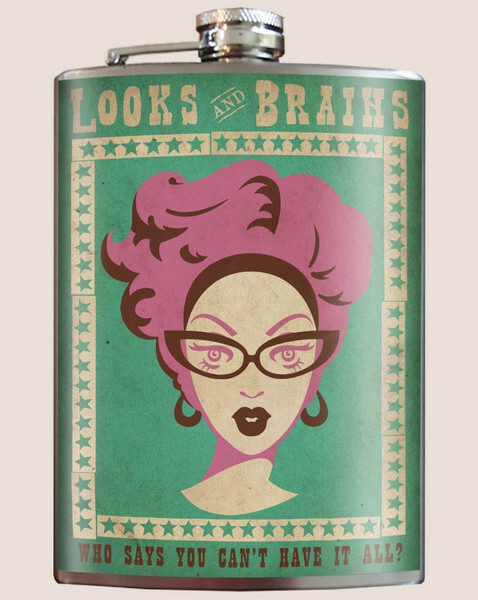 Many of their products are available at their online store if you can’t find them in your area (and they’re well worth seeking out!). Enjoy the fresh flavors of the northwest with Oregon Hill Farms! 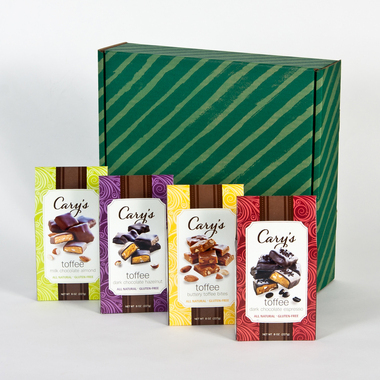 Cary and his company now make over 175,000 pounds of toffee yearly and ship to all 50 states! Nine different varieties are available, including Dark Chocolate with Espresso, Milk Chocolate Vanilla Bean, and many more. An ideal office gift (or just for someone special), Cary’s of Oregon will ship right to your door. Click through to their website to see all their toffee creations! 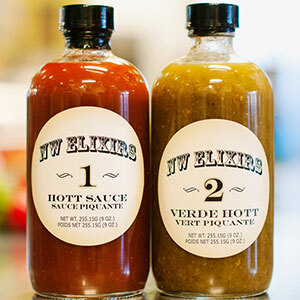 We are big fans of their NW Elixirs Verde Hott #2 sauce – it’s a wonderfully flavorful serrano and jalapeno pepper based sauce that’s flavored by a bit of cilantro and agave. It pairs perfectly with any Mexican style dish and is more than versatile enough to pair with pork, chicken, and fish. We’ve used it with carnitas as well as brushed onto pan roasted chicken – it has a kick of heat but can be used liberally! If you like things a little hotter, try their Hott Sauce #1, a habanero based creation, or the Bangkok #4, made with Thai chiles, lemongrass, garlic, and coriander (ideal for stirfrys!). There’s also a more mild Hott Smoke #3, a chipotle, ancho chile, and smoked onion grilling sauce which can be used as a substitute for barbecue sauce. We love the flavors in this one too! There’s a link at the NW Elixirs website on the Order Now page where you can order any or all of their sauces at their online store at IBurn.com . 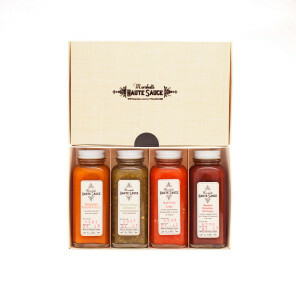 You’ll love these sauces – a flavorful Oregon made gift for yourself or the foodie on your list! Pacific Hazelnut Farm & Candy Factory: The hazelnut, also known as the filbert, is harvested primarily in Oregon and is unofficially known as one of the state’s signature snacks. High in protein and very good for you, hazelnuts are used in confectionery treats, recipes, or simply enjoyed salted and roasted. Located in the beautiful antiques town of Aurora, Pacific Hazelnut is one of the best places in the country to buy these tasty nuts. 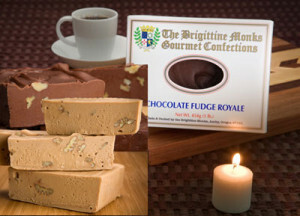 They’re available in various forms, including roasted and seasoned, chocolate covered, or in crunchy toffee. 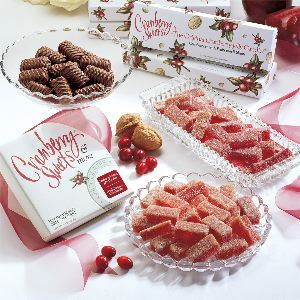 Either in person or at their website, the company also offers chocolate covered local fruit and a wide variety of pre made gift box selections. You can also purchase hazelnuts in the shell – a great Oregon themed gift idea! Click through to their website to view all their products, and if you’re ever in the area, stop by for a tour of their candy making operation to see how it’s done up close and personal! 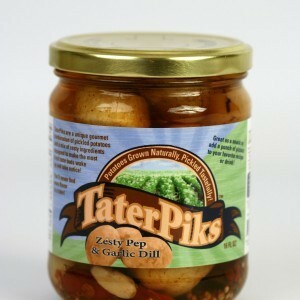 Tater Piks – Gourmet Pickled Potatoes! Tater Piks: You’ve heard of pickled asparagus, pickled beets, and pickled peppers … how about pickled potatoes? Yup, an innovative company in Malin, OR just a few miles north of the Oregon-California border has mastered the art of pickling gourmet potatoes! You can order these Oregon made products in various quantities directly at the Tater Piks site. They’re an ideal gift for someone culinary oriented! If truly unique artisan chocolates intrigue you as it does us, take a look at the company’s website to see some of their chocolate specialties. Many use fresh local ingredients, like the Chocolate Covered Rogue Valley Pears shown. Or how about two of the best foods in the world combined into one with Lillie Belle Farms Chocolate Covered Bacon? It’s made with chipotle and brown sugar crusted bacon enhanced with a dash of smoked sea salt – wow! Organic berry cordials, ganache filled chocolates, specialty bars, and gift packages are also available. For a wonderful gift for that “hard to buy for” person on your list, Lillie Belle Farms offers a Chocolate Club which includes a selection of chocolates and organic confections in 3,6, or 12 month increments. Unbound Pickling: In 2009, Jesse and Katie Hancock of Portland decided to pickle some excess green beans from their garden. Pleased with the results, a new business was born! The couple formed Unbound Pickling and ever since they’ve been doing some pretty amazing things using the traditional art of pickling. 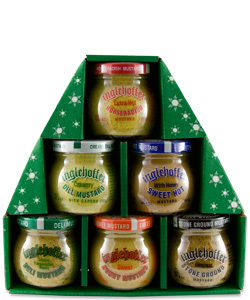 One quick look at their product line will tell you this isn’t an ordinary pickle-in-a-jar operation! We especially love their gift packs, like the Cheese Please Three Pack. This gift set includes one each of their jams to pair with goat, cow, and sheep cheese and comes with a cheese pairing suggestion card. Another is the Wine Lover’s Trio, which offers three of their jams containing Pinot Noir, Cabernet Sauvignon, and Prosecco – a new twist on a wine themed gift! 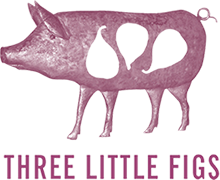 You can order any of the Three Little Figs jams, as well as their gift packs, directly at their website. Enjoy! 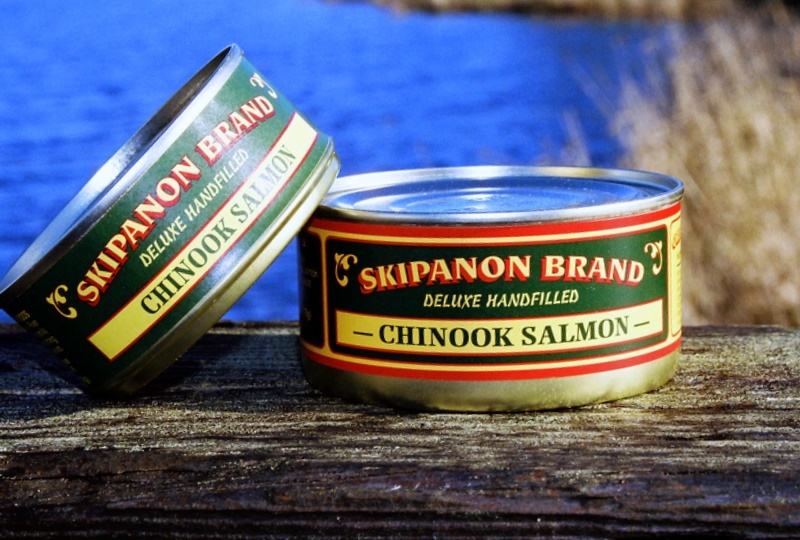 Skipanon’s processing plant and cannery are where all the magic happens … after the fish is caught of course! Albacore tuna, Chinook and Coho Salmon, sturgeon, and fresh crab are just a few of the delicacies processed here. 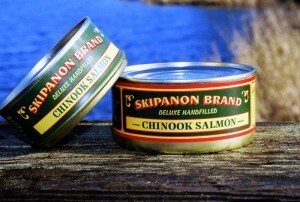 The fish are hand filleted and packed in cans which are cooked once to preserve them for the retail market. Some of the fish is reserved for smoking, which is done via the cold smoking process with selected hardwoods to impart a one of a kind flavor. The company houses a retail store at the cannery, but if you can’t get to their location, their online store allows you to order their products and have them delivered directly to your door. Gift packs are available! 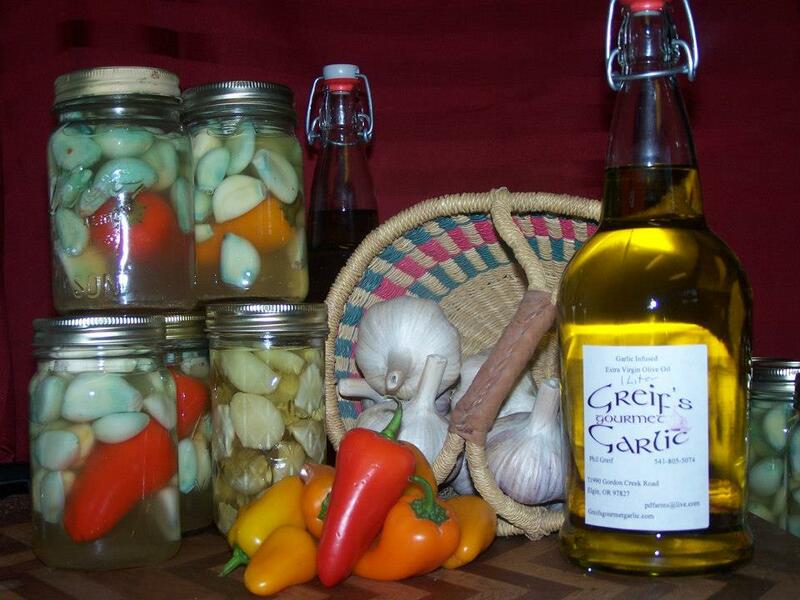 Greif’s Gourmet Garlic: The foothills of Oregon’s Blue Mountains near the town of Elgin offer ideal soil and climate conditions for growing garlic. In fact, the area is known as the Gourmet Garlic Capital of the World – a pretty lofty distinction! 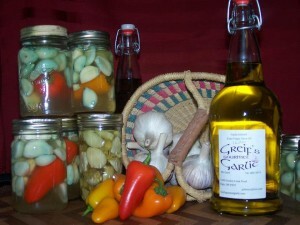 You can buy Greif’s Gourmet Garlic directly from their website. They also offer garlic powder, garlic infused olive oil, pickled garlic, garlic pesto, and more. While you’re on their website, take a look at their Greif’s Product Sampler, pictured. It includes their garlic infused olive oil, a pint of pickled garlic, and a pack of their garlic powder. A wonderful locally grown gift. Anyone who spends time in the kitchen will thank you! The company also offers gourmet jellies and condiments made with fresh local fruit, including Cranberry Jam, Cranberry Relish, and a Cranberry Vinaigrette (perfect for adding to your salads!). 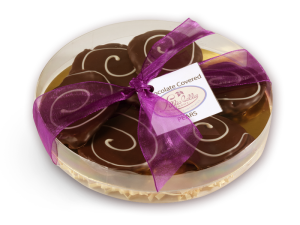 Also check out their signature “Pie Candies” which are lemon fruit pates dipped in white chocolate offering the flavor of a lemon meringue pie! Dozens more unique specialty products are available – these few short paragraphs don’t do their selection justice so you’ll want to visit their site to see for yourself! Salami of the Month Club – A Great Gift! In addition to all their wonderful smoked meats (they even offer a chocolate salami sampler! 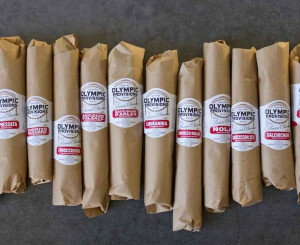 ), Olympic Provisions also creates pickled items – beets, vegetables, and of course pickles. Be sure to check out their Pickle of the Month Club too! To place an order for the foodie in your life, visit the Olympic Provisions site linked above. Enjoy the flavor of Oregon, Old World style! Flavors available include Dark Chocolate, Chocolate Hazelnut, Chocolate Amaretto, and more. Eight to ten flavors of truffles are also available depending on production schedules. A delightfully tasty hand made gift from the beautiful Willamette Valley! 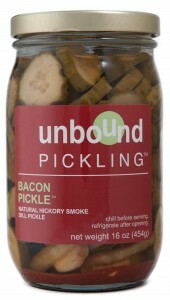 The company’s online store also sells bread and butter pickles & peppers, as well as pickled asparagus and green beans. You can buy in quantities of three or six jars in different sizes – a tasty Made in Oregon treat for the foodie on your gift list! All three of these sauces are available at the Secret Aardvark website. 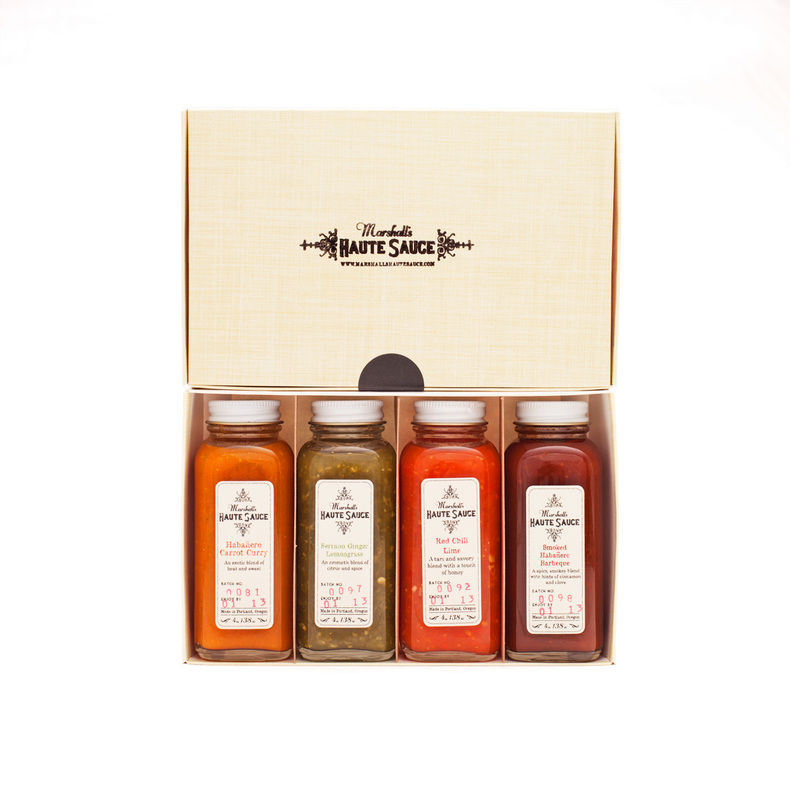 We recommend picking up one of their combination gift packs so you can try all three! Marshall’s Haute Sauce: Marshall’s Haute Sauce is a small and growing company owned by a Portland couple, Sarah and Dirk Marshall. They’ve created a unique line of sauces using local produce, vinegar, spices, and sometimes sugar and local honey. No additives or hidden ingredients! We love the company’s emphasis on local ingredients! All their sauces are vegetarian and gluten free too. 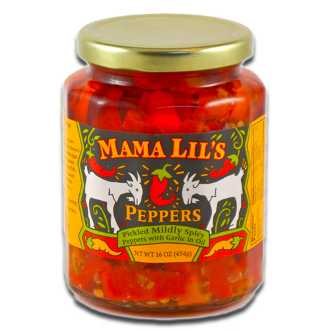 You can find varieties of Marshall’s Haute Sauce in the Portland area as well as specialty food retailers in Oregon and Washington. They’re slowly but surely expanding their distribution but in the interim, click through to their website and order for yourself or as a gift – taste the freshness of Oregon! Rose City Pepperheads: This Portland based company has been creating interesting peppery products since 1998 – they specialize in barbecue, dipping, and cooking jellies. Rose City Pepperheads makes a wide assortment of flavors, from apricot to marionberry to raspberry jalapeno. For those who like a lot of heat, try the “Double Dare” or the “Sneaky Ghost”, made with ghost peppers. There’s over 25 varieties in all! 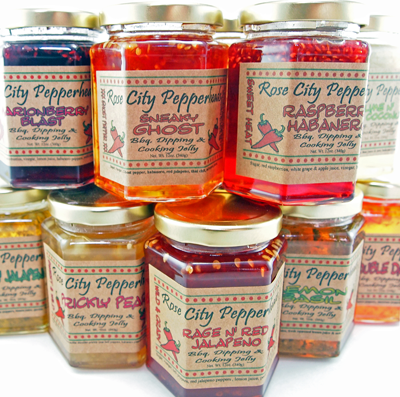 You can order Rose City Pepperheads pepper jellies online at their site in single jars or in convenient gift packs. A really nice gift for anyone who likes a little zip with their favorite dishes! 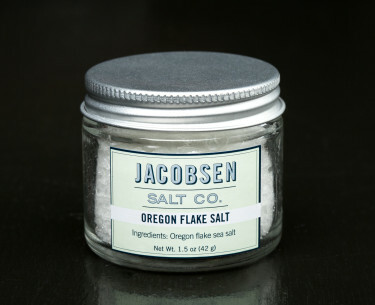 You can buy individual containers of Jaconbsen Salt at their website, as well as a few other related items like sea salt soap and salty black licorice (which sounds great!). A perfect gift idea for the culinary centric person in your life! 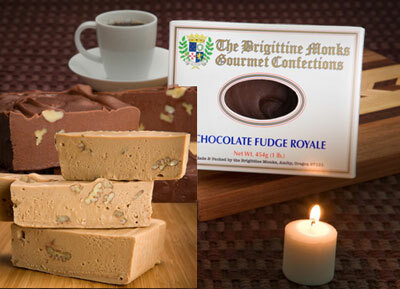 You can buy these wonderful delicacies individually or in gift packs directly at Tony’s online site. A sure to be appreciated gift directly from Oregon! 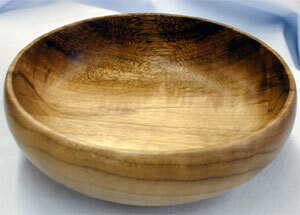 Myrtlewood is known for its hardness as well as its grain colors and patterns. After the wood is harvested, it is cut into logs and then dried slowly and carefully for six to eight weeks to prevent cracking and splitting. After drying, the wood is crafted into beautiful functional art pieces like bowls, cutting boards, kitchen items, decorative pieces, and more. It should be noted that every item is different due to the unique grain wood. These pieces are carefully prepared and sealed and will last for decades with proper care. These are wonderful gifts which are unique to Oregon! Check out the Wooden Nickel site to learn more about the entire process and to order one or more of these beautiful items for yourself or as a gift! With a bag of peanuts on hand along with a food processor, Erika and Keeley created their first flavored peanut butter with ingredients on hand, like cinnamon, chocolate chips, coconut, and more. After sharing their creations with friends, the two were encouraged to start a business. 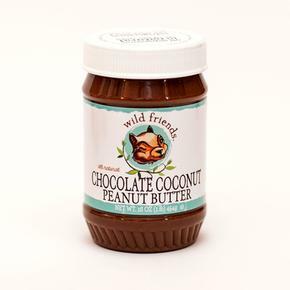 If you can’t find the Wild Friends line in your local store, order them online from the Wild Friends Foods website. There you’ll be able to choose from peanut butter varieties like Chocolate Coconut, Cinnamon Raisin, Honey Pretzel, and more. Or, get yourself some flavored almond butters, sunflower seed butters, combination packs, and some good looking Wild Friends logo swag … they all make cool gifts from Oregon! We love “from the ground up” successful small companies like this, and we’re very happy to introduce them to our State Gifts USA readers! 1859 Oregon Magazine: Looking for an inexpensive gift for the Oregonian in your life? A gift subscription to 1859 Oregon Magazine will fit the bill nicely! 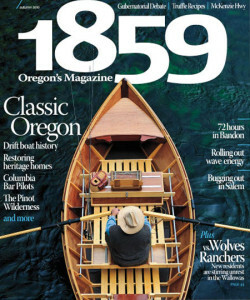 The magazine draws its name from the year of Oregon’s statehood – 1859. Published bi-monthly, the magazine offers sections on each geographic area of the state … the coast, eastern Oregon, Portland, the Willamette Valley, and more. You’ll find beautiful photography, feature on dining, the outdoors, current event, and art and culture. You’ll discover some interesting facts about hazelnuts (or filberts if you prefer) at the Freddy Guys website. For example, these nuts, when purchased dry roasted, should be stored in the refrigerator and can last for up to a year. Or, you can purchase raw nuts and roast them yourself in the oven – the process is easy. Just lay them out on a baking sheet and bake at 250 degrees for an hour. 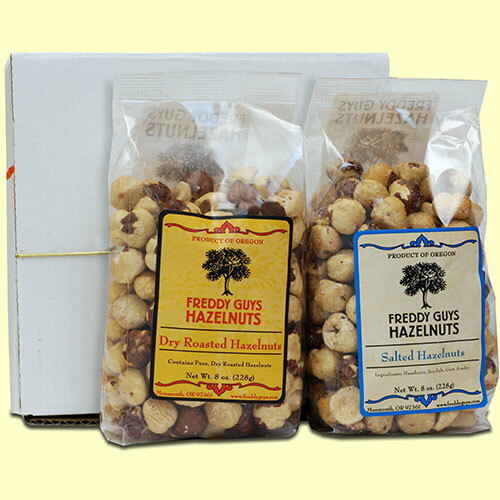 Freddy Guys offers hazelnuts and related products in all sorts of flavors and gift packages. You can buy the nuts roasted, salted, or covered with toppings like chocolate or marionberry (an Oregon specialty). At their online store, you’ll also find hazelnut oil, spreads, mixes, and more. A true taste of Oregon, hazelnuts from Freddy Guy’s make a wonderful gift from The Beaver State! 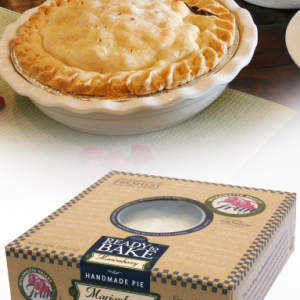 You can order Marionberry pies, fruit bars, and packaged fruit directly from the company’s online store. The pies are shipped frozen and in quantities of two (trust us, you’ll want more than one!). Simply thaw and bake for a special Beaver State treat! Ideal as an Oregon themed gift too! Oregon Sunstone is an excellent source for a wide variety of jewelry featuring the Oregon state gemstone. 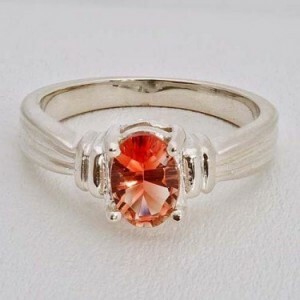 Located in Bend, they also specialize in loose gemstones and Oregon Fire Opal jewelry, another beautiful gem. The Oregon Sunstone typically gets its hue from the inclusion of copper crystals, meaning they occur naturally in the gem. The more copper crystals, the darker the hue. Shades of red are commonly found, as are clearer varieties. One of these jewelry pieces is the perfect gift from Oregon and will be treasured for years! 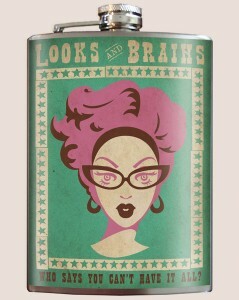 If you ever get stuck for a gift idea, a flask is there to bail you out. They’re perfect, and appreciated, for college graduation gifts, retirement, bon voyage, groomsmen and bridesmaid gifts … the list goes on and on. Beaverton Foods: Founded in 1929 as a company that produced horseradish, Beaverton Foods has grown into one of the largest producers of specialty condiments in the United States. They sell products under many different brand labels, including Beaver, Napa Valley, Inglehoffer, Tulelake, and many others. Tillamook is best known for its cheese, but it also has a long history with butter, yogurt, ice cream, and sour cream. 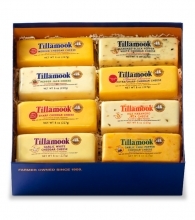 You can buy the cheese online and Tillamook will ship it anywhere you’d like, either for yourself or the cheese lover in your life. Check out the PAC Stove website to see all the varieties offered! The company is based in Lebanon, OR. The Jump Rope Store: Based in Portland, the Jump Rope Store knows what many amateur and professional athletes know … jumping rope isn’t just for kids! The Jump Rope Store lets you design your own jump rope online. You choose the colors, you choose the lengths, and they’ll build an Olympic training jump rope for you. These are the same high quality jump ropes used by sports teams and fitness facilities. Jump rope training is proven to increase speed, agility, coordination, and cardiovascular fitness levels. Even 60 seconds of jumping rope is an excellent warm up for any type of exercise, and did you know that learning how to jump rope helps improve your reaction skills? What are you waiting for? Get jumping! 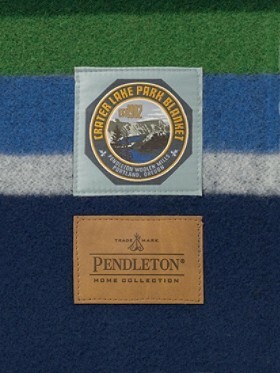 The blankets come in several colors, and in addition to being warm and functional, they’re collectors items. What a great made-in-Oregon gift for anyone who appreciates natural beauty and American history and conservation! 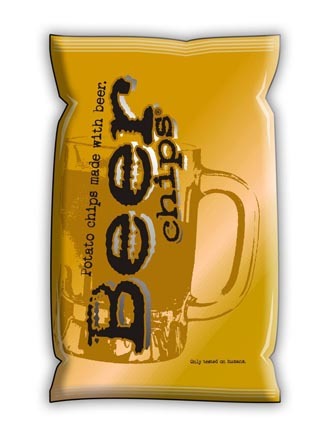 The name notwithstanding, beer chips don’t contain any beer … but they taste great with a cold one! There are several different flavors, depending on your beverage of choice. Beer Chips makes Margarita Shots Chips, BBQ Rib Chips, Buffalo Wings Chips, Tavern Style Chips, and well … you get the idea! 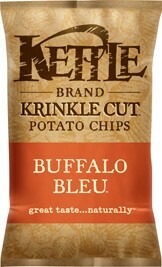 Kettle Brand offers a variety of styles, flavors, and textures, including a few you’re not likely to find anywhere else, like Sweet Chili Garlic and Buffalo Bleu, pictured.